The 10 Best Consignment Shops in Maine! Consignment shops have two main purposes. One allows consumers to pick up everything from clothing to household furnishings at a fraction of what they’d pay when buying the items in retail stores. The second allows people to make a few bucks from items they’d otherwise simply donate or throw away. 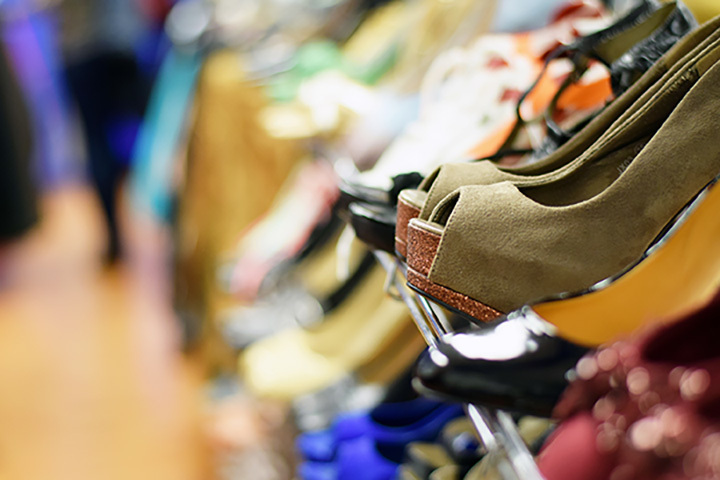 The following consignment shops are the best in the Maine. Check one out, whether you’re interested in becoming a buyer or a seller. Selling women’s clothing, handbags, accessories and more, Charlotte Lorraine’s Consignment Boutique is popular in the Bangor area. People come regularly to see what new items have been hung on all the racks. Lots of name-brand, designer pieces make their way into the store. Heirloom Consignment features an eclectic mix of home furnishings and décor. From contemporary items to antiques, it’s the perfect place to go when furnishing a home or apartment, or simply giving a room a whole new look. Featuring clothing, handbags and accessories, New Beginnings Consignment Boutique prides itself in carrying several upscale options in both clothing and handbags. Women can find the perfect seasonal outfit they’ve been searching for, as well as bags they’d pay big bucks for in retail stores. Top-quality labels abound at Fresh Start Women’s Boutique. Shoppers find a great assortment of items—clothing, accessories, and handbags—for a fraction of their original cost. The owners believe in green living, and buying and selling through their store supports this belief. Appointments are needed in order to place items on consignment. The name is the perfect introduction. It’s All Good Upscale Resale carries upscale lines of clothing, accessories and handbags for women. Consignment is limited to three months. This keeps the items in the store seasonal and fresh. Featuring both women’s fashion and home furnishings, Robin’s Nest Consignment can fill a closet or an entire room. Furniture, lamps, dishes, art, clothing and more—all of excellent quality—make up the rooms in this consignment shop. It’s a fun place to browse for ideas. Selling brand names of women’s clothing, accessories and handbags, Retail Therapy Clothing Boutique & Consignment will help you find what you want to wear for that special event, or for simply hanging out on the weekends. They’re picky about what they sell, so the items you buy are in excellent condition—for a fraction of their original cost. Featuring “chic styles from chic closets,” the Lady’s Room carries both dressy and casual clothing, bags and accessories. None of the styles of accessories or handbags are over two years-old—a good note for those dropping off items for consignment. Featuring both modern and vintage clothing for both men and women, Find offers a true boutique setting, where even the most discerning people will find the service and clothing that meets their needs. Selling both women’s and young men’s clothing and many decorative pieces for the home, Polish has an intriguing array to please most anyone. Choose from modern outfits to classic pieces, and art, lamps and more for just about any room in the home. There’s something new practically every time you visit.